A warm welcome to my golf landscapes site. I would love you to find something on here that you would be proud to hang on your wall. And if it gives you as much pleasure as I have had photographing these special courses, then I will have done my job. Everyone knows having a passion for something brings out the best in you. Not only do I have a huge love of golf courses and their panoramas, but I use my specialist knowledge of the anatomy of a golf hole to try and create emotionally engaging images. I strive to show a course in its best light so hopefully you can experience the next best thing to the thrill of being there for yourselves. I have been in golf writing and photography since 1988, working first as a writer on some of Europe's most famous magazines. 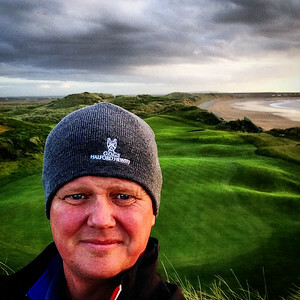 I am fortunate enough to be a member of the panel that ranks the Top 100 Courses in the World for New York based Golf Magazine, and for 10 years was chairman of the rating team for the Top 100 in the British Isles and Continental Europe while Deputy Editor of Golf World Magazine. I am also a member of the International Golf Travel Writers Association, and a business partner of IAGTO (the global golf tourism organisation). I have travelled more than my golf clubs have but still have managed to experience over 600 of the world's courses, while playing for many years to a handicap of 2 or below - but it's probably only going to go one way now! Based in the UK, my other passions include most sports (but particularly Rugby and Cricket), and wine - not necessarily in that order! I hope you enjoy my images, and please don't hesitate to contact me if you want something specific. 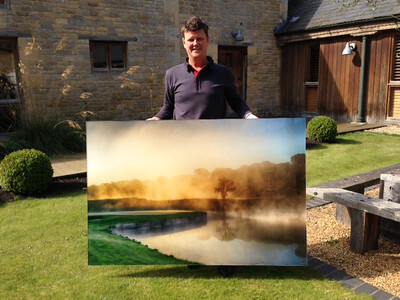 Extra large Fine Art prints (over 40 inches wide) are available to order on a bespoke basis, so please use the 'Contact' link to get hold of me.